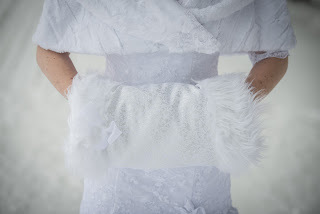 A Sweet Reminiscence: Winter Wedding Accessories -It's Official- Muffs Are In! 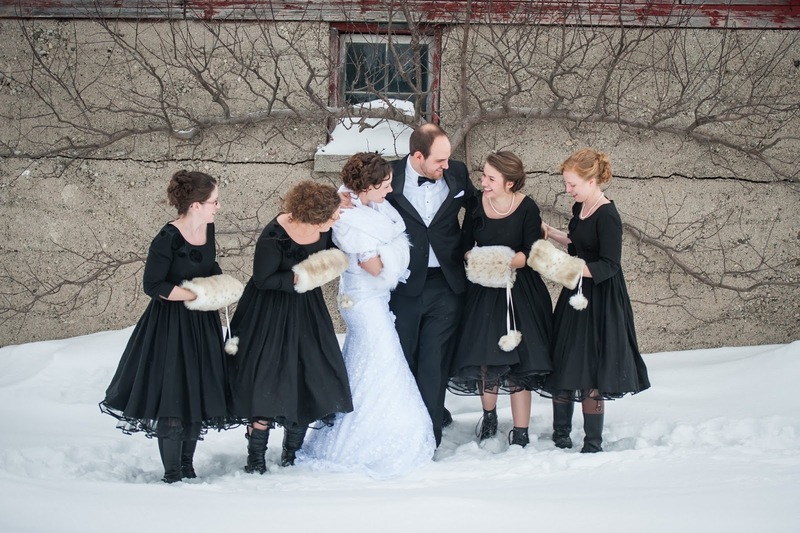 Winter Wedding Accessories -It's Official- Muffs Are In! The winter wedding dream, celebrate with the warmth of a cozy muff. 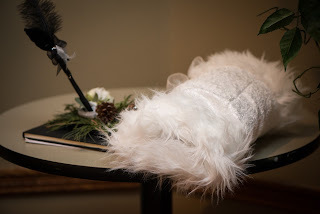 Yes, a muff - isn't that a delightfully whimsical word? 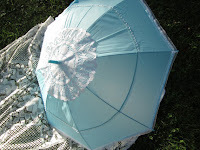 White Arctic Fox for the Bride and Tan Lynx Rufus for the Bridesmaids... faux of course. The wedding party with muffs!